As 5th and 6th grade students from Weizmann Day School and Harambee School entered the auditorium, they looked the way many of us feel when we enter a new space—a bit shy and expectant. But very quickly, their 6th grade hosts from New Horizon School waved them over to sit together. The girls’ groups were soon in animated conversation and then the boys warmed up. It takes effort and intentionality to make new friends, and even more so when you come from different religious traditions, but that was precisely the impetus for Faith and Friendship Day. 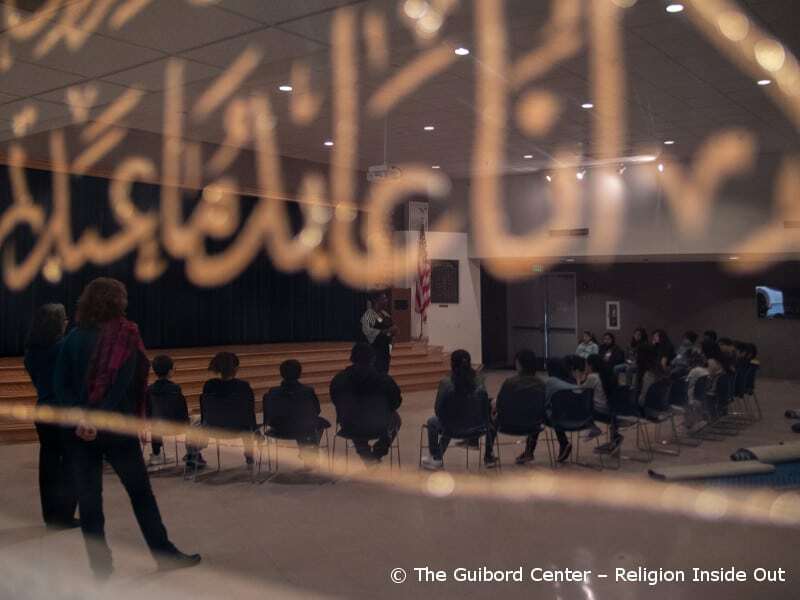 The Guibord Center approached New Horizon School, a K-8 Islamic day school in Pasadena, to see if they might be interested in doing some kind of an interfaith event for elementary students. 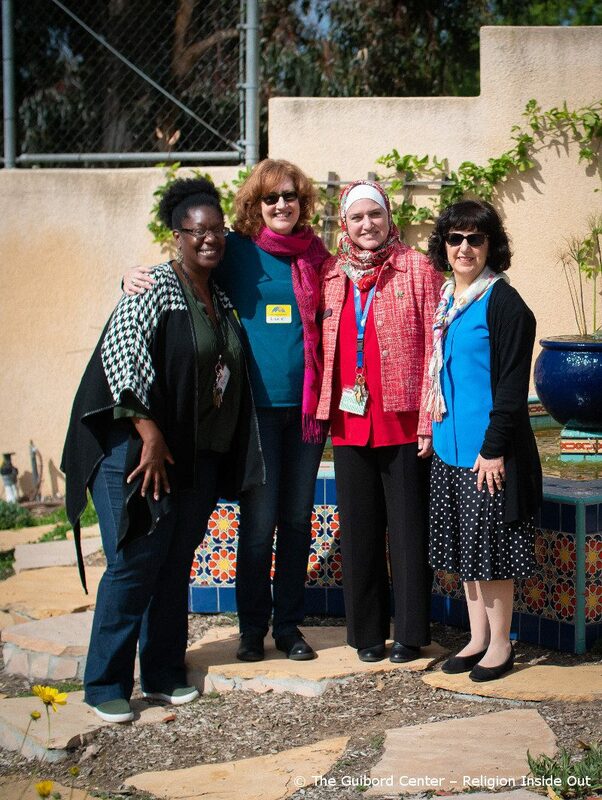 Principal Amira Al-Saraaf liked the idea and reached out to her long-time collaborator, Principal Lisa Feldman of the Weizmann Day School, a nearby K-6 Jewish school, and we began the first of many meetings that eventually led to Faith and Friendship Day. As the event took shape, we agreed that we wanted to add a Christian partner, so we made contact with Harambee School, a K-6 Christian school in northwest Pasadena that educates young leaders in its community. 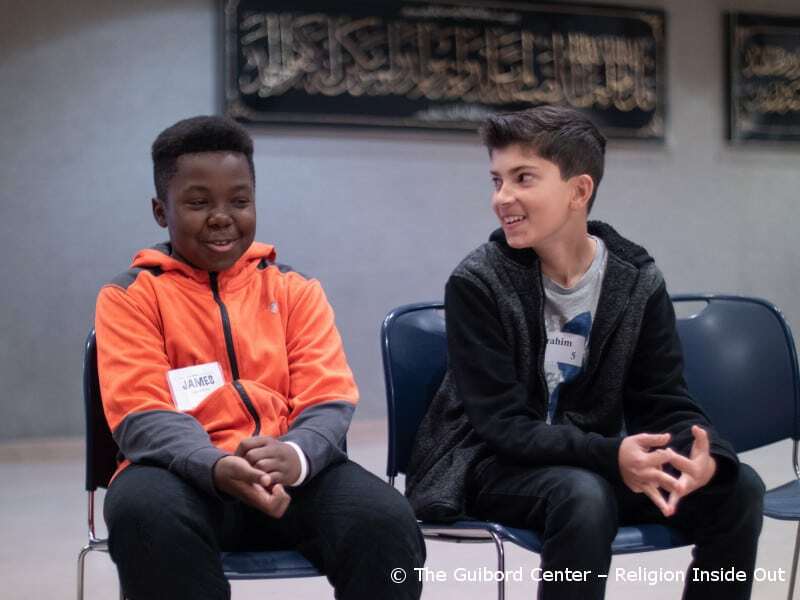 The journey together to develop this event was rich and joyful as we learned more about how each of our faiths approaches sacred texts, important leaders in our traditions, and the daily practices that renew and sustain our faith in God. Although all of the leaders had previous experience with interfaith dialogue and education, we learned new things about each faith tradition! We also found that, as we built trust together, we could speak openly about some the sensitive issues people of different faiths often avoid. This deeper exchange motivated us to create a learning experience for the students that mirrored our discovery process. 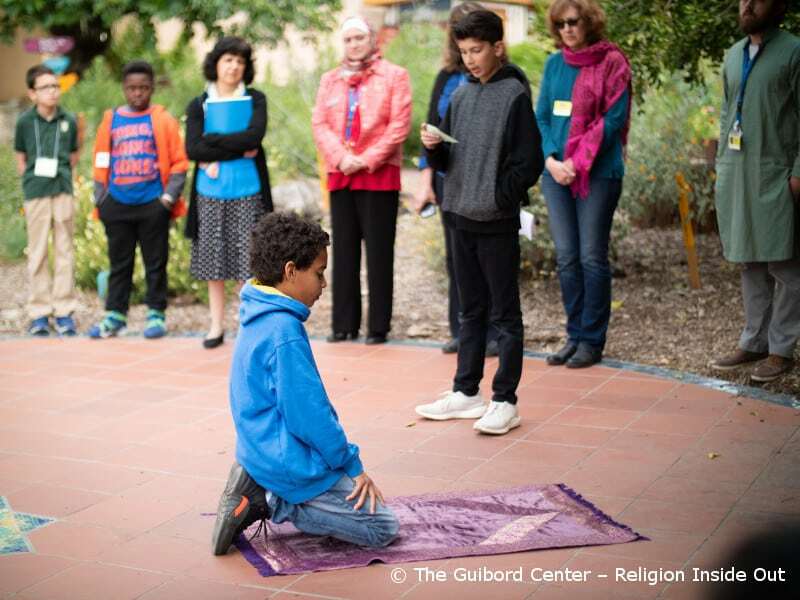 On Faith and Friendship Day, we shared a few stories from our sacred texts about Moses, Jesus and Mohammad that illustrated the shared values of compassion and commitment. Then we all went to the Peace Garden for a demonstration of how each tradition talks to God in prayer. The New Horizon student hosts showed their new friends around the Peace Garden and then, after a quick snack, all the groups met up on the field for a Discovery Hunt. There were six boxes at different locations on the field, four of which held several objects from each tradition representing prayer, head coverings, holy days, and giving to others. The other two boxes had questions for discussion. The small groups rotated from box to box, explaining in their own words how the objects are used, and sharing their thoughts about the questions. We finished the event with an art activity in which each small group was asked to make one piece of art together that expressed what they learned from the day’s activities. Each school took home two pieces of art and promised to send photos to the other schools so that everyone could see the the finished products.